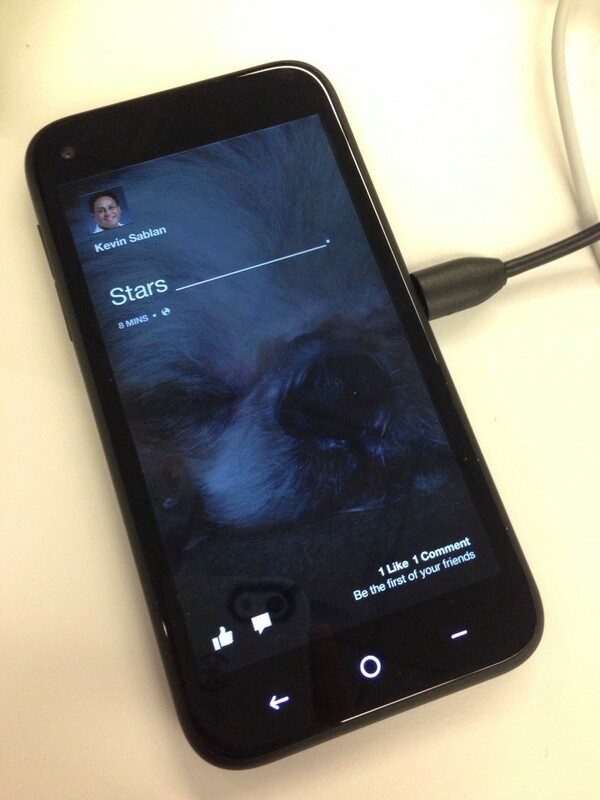 The first time I saw the HTC First, a Facebook employee gave a demonstration of it. Now I have one to test myself. And as expected, what a difference that makes. Let me show you how it works. This is the phone; it fits nicely in the palm of your hand. You turn it on and see this "f."
And you're in. Cover Feed brings you photos of your friends and their latest status updates. You can watch them slide by or flick through them more quickly. Double tap to like. Comment at the bottom. Facebook brings your friends into your Contacts -- including phone numbers for those who put their numbers into Facebook. Sorry, not going to screenshot my friends' numbers, but I had ton of them in there right away. You spend a few minutes downloading apps in the Google Play Store and you customize a default app screen like this, which can include Twitter even though it was omitted in Facebook's press event a few days ago. This is the most difficult part, and yet once you do it, you're good. You get notifications (including Gmail! -- not just a Facebook Phone) that you can swipe away with ease or tap to see what's behind them. You can chat (posted with permission), and the Chat Heads (your friends pictures) float around while you do other things on the phone until you swipe them off the screen. Like here, I'm on Twitter, scrolling my Timeline, but I can still carry on a conversation right there with my friend Stephanie -- without leaving Twitter. 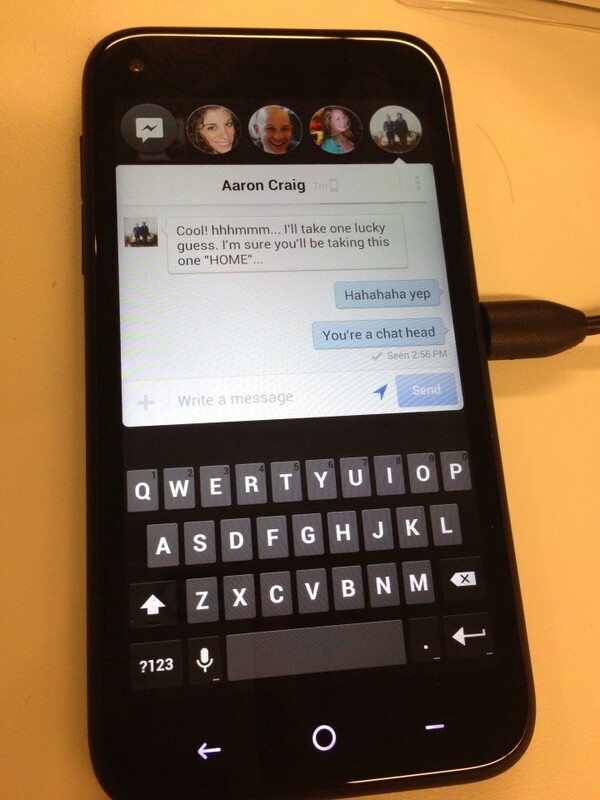 I can end that conversation at any time by flicking the Chat Head off the screen. And it's not just a "Facebook phone." 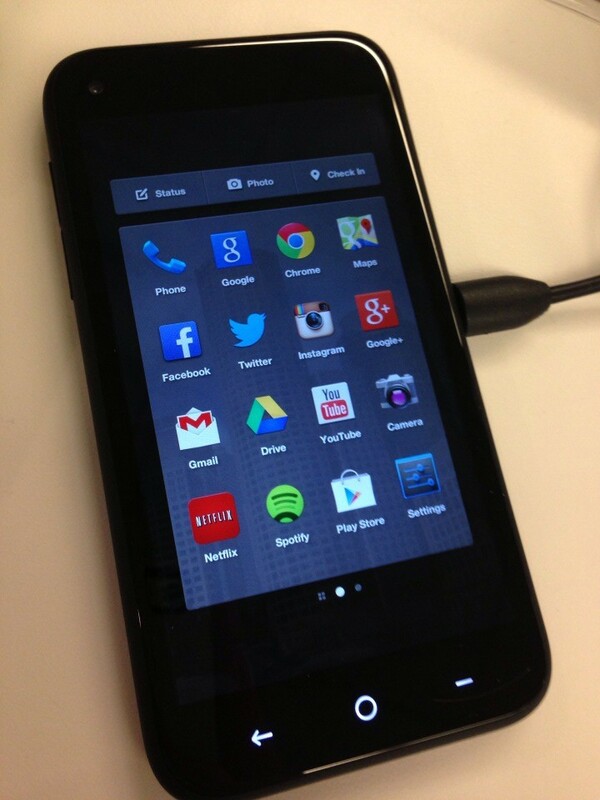 It's very Googly too, not surprising being an Android phone. I can sign into Chrome, see all my bookmarks; use Gmail, Maps, and Drive. Not to mention Google Now, which lets you speak for instant weather, traffic reports, sports scores, and other things (the Android's Siri equivalent). If you want an easy-to-use, basically ready-out-of-the-box, social smartphone -- that isn't even ridiculously expensive at $99 plus a contract -- the HTC First is worth a look for sure. 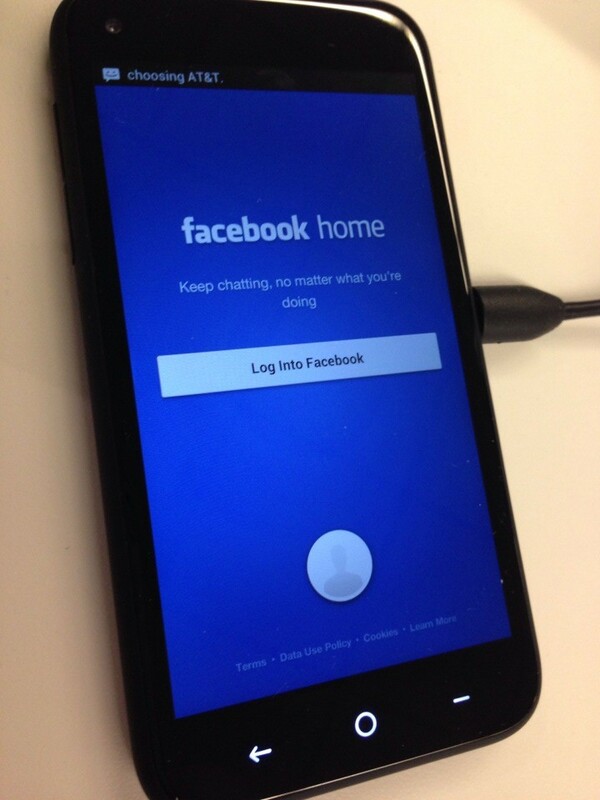 If you opt for installing Facebook Home on another Android phone, you can do that too. That said, I've tried some different phones, and no one offers the instant-personalization out of the box quite like the HTC First, which brings your Facebook/Google connections in immediately, and you can of course customize further with other apps. Worried about privacy? Being a personal phone and all. Some say you should be worried, but if you really drill down into all the fine print, it doesn't operate on guidelines any different than other Facebook products you use every day. You make the choice to give Facebook your data anyway, and you really don't give them anything more with this.